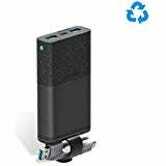 Founded by former Mophie employees, Nimble’s novel idea was to build a charging accessory company that was good for the environment, featuring recycled aluminum, plant-based plastics, and a prepaid e-waste recycling bag in every package. And oh yeah, the chargers are really good too. 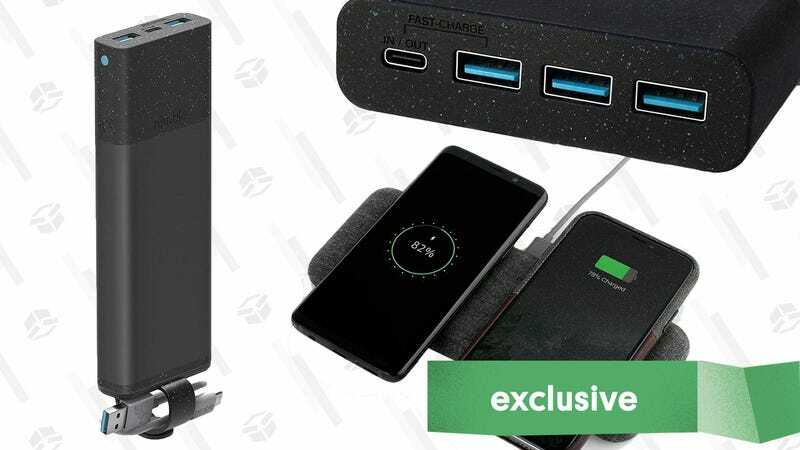 This week only, our readers can take an exclusive 30% off all of Nimble’s battery packs and wireless chargers with promo code 30KINJASHOP. The Qi chargers are gorgeous, include a Quick Charge wall adapter, and charge iPhones at 7.5W. There’s even one that can charge two devices at once. 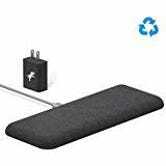 The battery packs range in size from 10,000mAh to 26,000mAh, and they all include USB-C Power Delivery (though only 18W), and an included, short charging cable that snaps to the top of the battery magnetically. They’re all very good, and today’s deals are among the best they’ve ever offered.